There’s a chill in the air and frost in the morning. After what seemed like an endless summer, the leaves of the apple, cherry, maple, and plum have turned and are falling with the quiet grace of snow. Thankful for the richness of this literary community, I am pleased to highlight some of the December events coming up. One of Sonoma County’s creative hives is Iota Press and Printshop, tucked away in Sebastopol, but humming and buzzing with activity. Iota Press is an authentic letterpress printery which makes poetry chapbooks, broadsides and graphic Although it is a private press it is also the site of a co-operative of printers and artists who share the type and presses. Eric Johnson offers classes in printing at the shop, and it is possible to commission work such as chapbooks, posters or business cards. 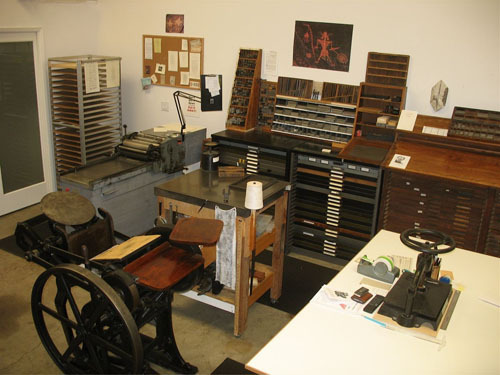 If you’re looking for a unique holiday gift, you may want to mark your calendar for Sunday, December 13, 2:00-6:00 p.m. for the seventh annual December Open House.There will be unique letterpress gifts for sale, many new things to see… and a chance to meet the printers and talk about their work. In addition you can tour the shop and take part in demonstrations of the old printing presses. Wine & food… and a rare moment of solemnity as we celebrate the art of the typo with the winterprinter rite of Elddim. Iota, 925d Gravenstein Hwy. S., Sebastopol. For those in the north county, the Headsburg Center for the Arts invites you to a reading and book open house on Sunday, December 20, 1:00-3:00 p.m. Reading & Book Open House at the Healdsburg Center for the Arts, Holiday Gift Gallery. Stop in, meet the authors, hear readings, do some shopping, share the season’s joy with us. Books for all ages and on many topics. Author list: Sandy Baker, Camille Picott, Jo-Anne Rosen, Penelope La Montagne, Susan Bono, Jeanne Jusaitis, Shonnie Brown, Cynthia Helen Beecher, Marie Butler, Arlene Miller, Sherrie Lovler, Billie Payton-Settles, Bonnie ZoBell, M. M. Allen, Tiana Krahn, Phyllis Meshulam, Dr. Patrick Taylor. Healdsburg Center for the Arts, 130 Plaza Street, Healdsburg, www.healdsburgcenterforthearts.com. Come dine with local authors while you hear about chasing horse-drawn fire engines in New York City, riding to school on horseback in Montana in the 1930s, going to Woodstock at 12, and much more. On Monday, December 14, Gaia’s Garden in Santa Rosa hosts a reading by women featured in 100 Years in the Life of an American Girl. Location: Gaia’s Garden International Vegetarian Buffet, 1899 Mendocino Ave., Santa Rosa. More Inclined to a Quiet Writing Retreat? If you are looking for a winter writing retreat, join poet Patti Trimble for a weekend of writing new poems, story, and short prose at Point Reyes Field Institute. The retreat begins on Friday, December 11, 6:00 p.m. and runs through Sunday, December 13, 2:00 p.m. More details on Conferences/Retreats page or at www.ptreyes.org/camps-classes-programs/field-institute/classes/winter-weekend-writing. Perhaps instead it’s a literary audience you crave. Consider joining the supportive group of friendly and witty writers on Sunday, December 20, 12:30 to 1:30 p.m. for the third Sunday Literary Open Mic at Coffee Catz in Sebastopol. Grab a refreshing drink and tasty treat and enjoy the cozy comfort of the back room or patio, depending on weather. Round robin open mic: share a poem or short story by you or someone else. Listeners welcome. Donation: $5 to $10. Scent free event. Many of you remember Petaluma poet Eugene Ruggles, whose poetry struck the deepest chord of humanity. After the recent attacks in Paris, I thought about how Gene would have been on the phone to all the writers he knew as soon as he heard the news, creating an event that would give support to our friends, solace to the grieving, and the music of words to lift us out of our fear. 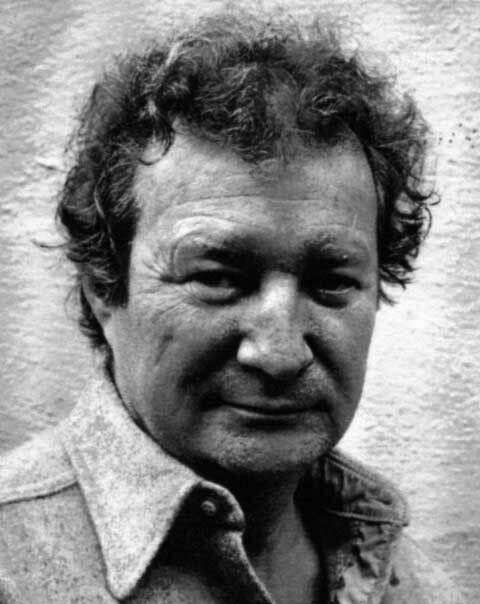 For fans of Gene’s poetry, and especially for those who don’t know his work, this coming Sunday, December 6, from 5:00 to 7:00 p.m., the Redwood Café in Cotati hosts the Eugene Ruggles Memorial Reading; poets TBA, emcee Carl Macki. Location: 8240 Old Redwood Highway. Here’s a sample of his work. I address this to both of you. if you were here or not. who have never had one. Be here.